Terntank Rederi AB and Preem AB equips chemical and product tanker Ternvag with a catalytic converter on the main engine and a SCR Catamizer on each auxiliary engine. To make a really substantial environmental investment is very stimulating, says Tryggve Möller, CEO of Terntank Ship Management at Donsö. Terntank expect the installation to reduce carbon dioxide emissions by 370 tons per year, nitrogen oxides (NOx) emissions by 230 tonnes and also the consumption of gasoil with 120 tons per year. 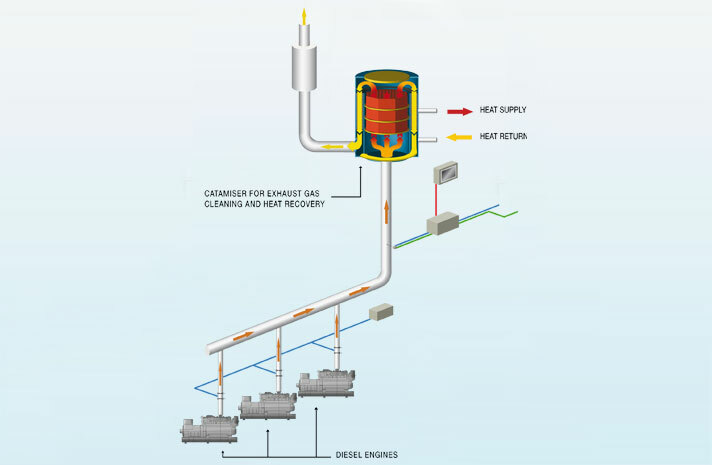 Catamizern is a combined catalytic converter and exhaust gas boiler that both recovers the heat in the flue gases and purify them. For more information, please click here to read more about the construction.